I'm gearing up and making plans for 2016. It's hard to believe it is less than 30 days away. I guess I really should be gearing up and making plans for Christmas first. Nah.... it will get done one way or the other. Part of my 2016 plans is I've been asked to host a Quilt-Along by Deanna at Kinship Quilters. 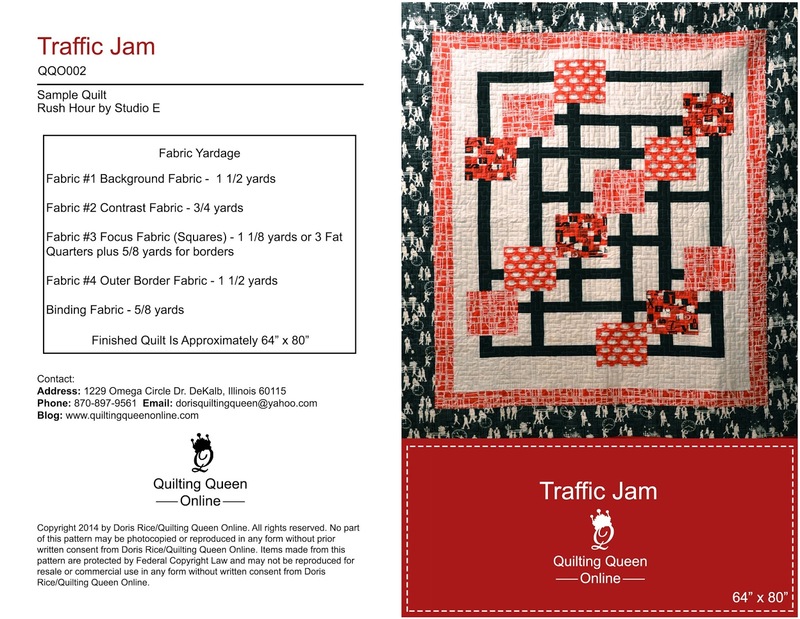 She's using my Traffic Jam quilt pattern in one of her 2016 BOM programs. I am super excited about this! Deanna has an online fabric shop and her specialty is fun, and bright, and happy. 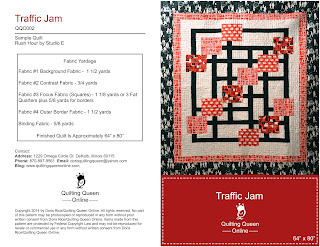 She is kitting my Traffic Jam quilt in her fabrics. It's going to be so neat. This is the pattern..... now just imagine it in bright, fun, cheery, happy fabrics. If you'd like to join in, please stay tuned here and/or sign up with Deanna here. She also has a ton of other Block of the Month programs going on as well. Okay maybe not a ton but she has 14 other options. You're sure to find one that works for you. Sounds like a fun #StitchAlong. Off to learn more. Looks like fun. Love the pattern.